The Preston House & Hotel opened its doors in February transforming a historic 1905 home into a modern restaurant along with a luxurious lodging space in the heart of downtown Riverhead. “It’s the only property of its kind in Suffolk County,” said assistant general manager Alberto Longhi. 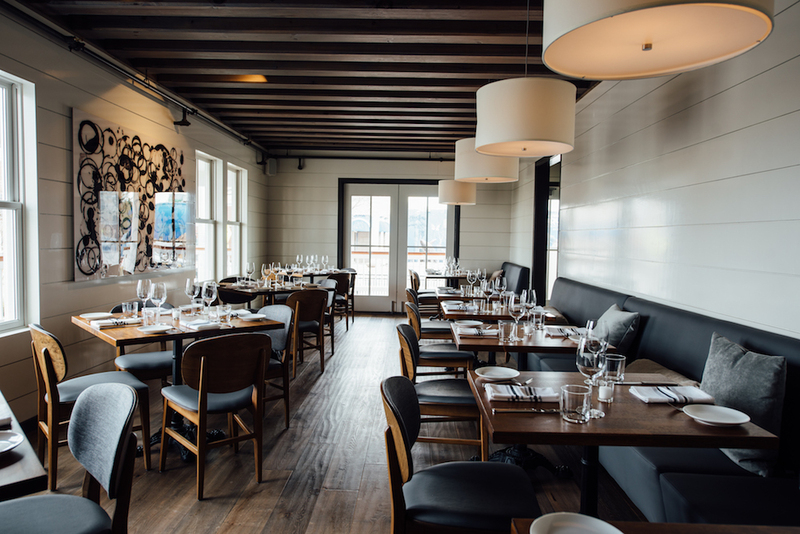 The house, once owned by Civil War veteran Henry H. Preston, has turned into an 88-seat eatery run by executive chef Matthew Boudreau (formerly of Shelter Island’s Vine Street Café and Barons Cove in Sag Harbor). Open to the public, the three-level restaurant also has three private dining rooms, an intimate bar and an 850-bottle wine cellar. Outdoor seating will soon be an option. The menu features New American dishes with a focus on organic, local ingredients. Think seafood options like mussels, calamari and scallops—the down east clam chowda made with local clams, North Fork potatoes and garlic croutons is already a hit. But diners can also enjoy steaks, burgers and another favorite, the bombolotti, veal and pork bolognese. Currently only open for dinner, the restaurant plans to open for lunch by the end of April. Right behind the house is the four-story boutique hotel. It exudes industrial chic with concrete accents and floors, marble granite, striking artwork and solid white oak furniture. 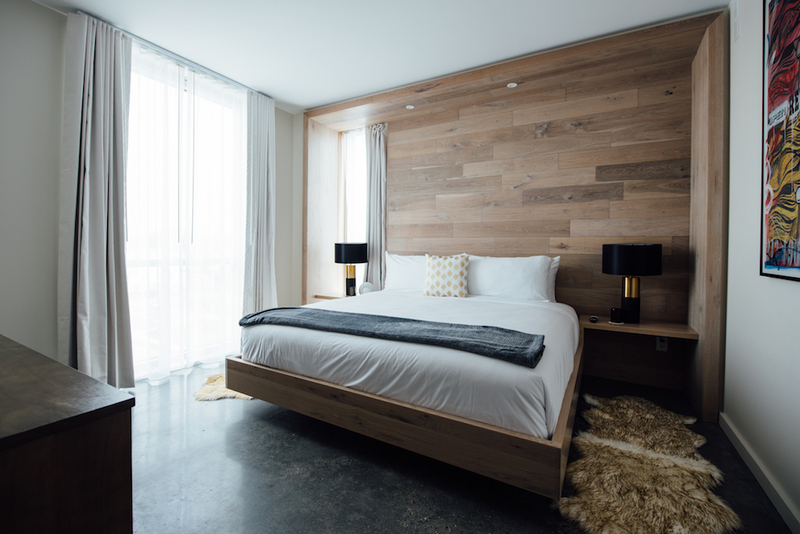 The pet-friendly hotel is complete with 20 rooms (8 king-size studios, 8 single bedroom suites and 4 family suites) each with modern amenities like a Lavazza espresso machine and HD TVs. Longhi pointed out room service is available for breakfast, dinner and soon-to-be lunch. “We tried to keep it modern and minimal but with all the comfort,” he said. 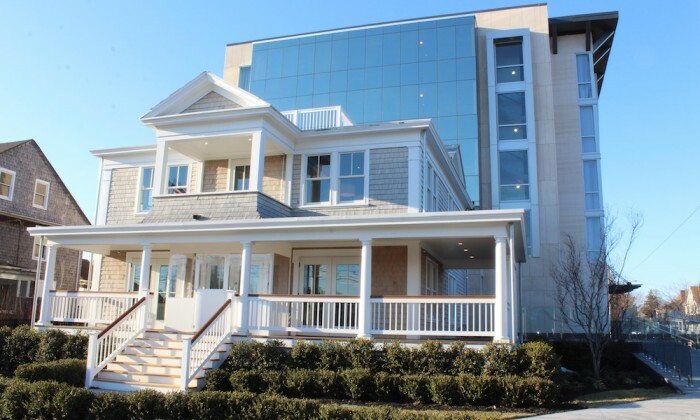 Developed by Ronkonkoma-based J. Petrocelli Contracting, Preston House & Hotel sits right across the street from the company’s two other properties, the Long Island Aquarium and the Hyatt Place East End. It’s an ideal choice for guests who want to spend time in both the Hamptons and wine country. The Preston House and Hotel is located at 428 East Main Street in Riverhead. Studio rates start at $219 in the off-season and are more than $800 during high season.